I love to entertain and am always looking for ways to make the whole eating-drinking-mingling process easier. 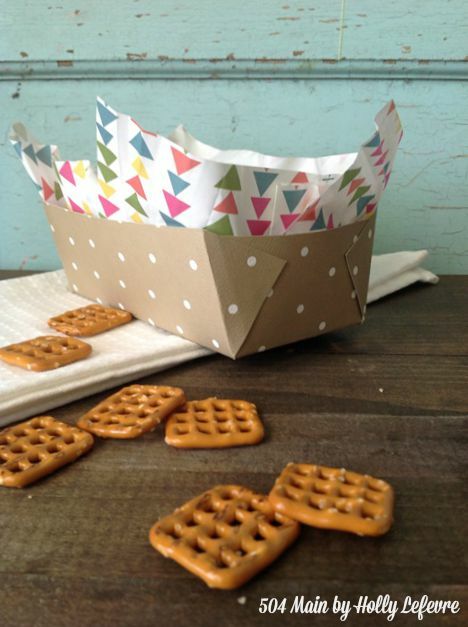 I will tell ya, that if my party numbers are small enough I will use "real" (as in not disposable) dishes, but when the party gets larger or has a lot of kiddos or is by the pool, I find these DIY Paper Food Trays come in super handy for serving snacks, chips, and other goodies! 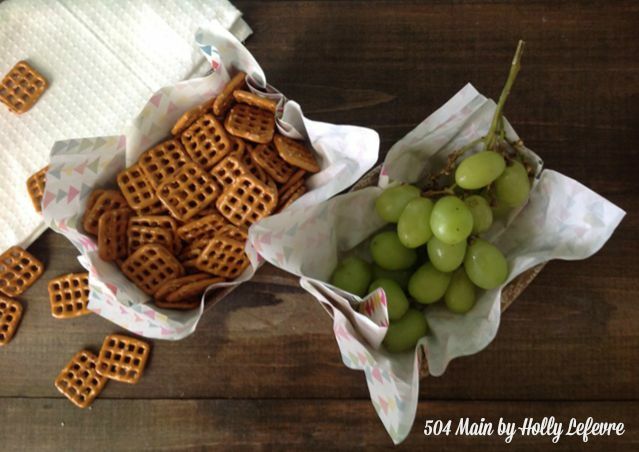 Aren't these a fun presentation for your snacks? You want to kow what my favorite thing is? When my kiddos load up on chips, they dont go flying everywhere - come on you know what I mean...a pile of potato chips on a paper plate equals a pile of potato chips on the ground. The paper trays keep them all snuggled in nicely! 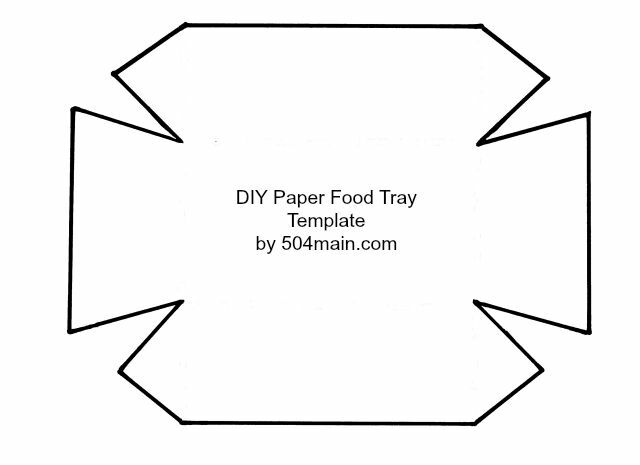 I like to make my paper food trays about 2" tall with a 3 inch bottom, just as the template is. You can make them in smaller sizes, just go ahead and adjust it on your computer. Good paper choices are plain card stock or printed card stock. Bad choices: velvet, flocked, glitter. Glue: hot glue, glue sticks or even double stick tape. I used hot glue. It dried the quickest with the best hold. NOTE: You can print directly on to the card stock (if your printer can handle it) by using the template without the dotted lines. 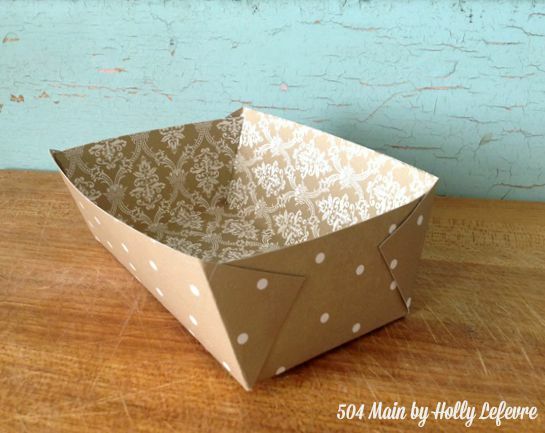 If not, print out one and make a template using card stock or lightweight cardboard (I use cereal boxes). 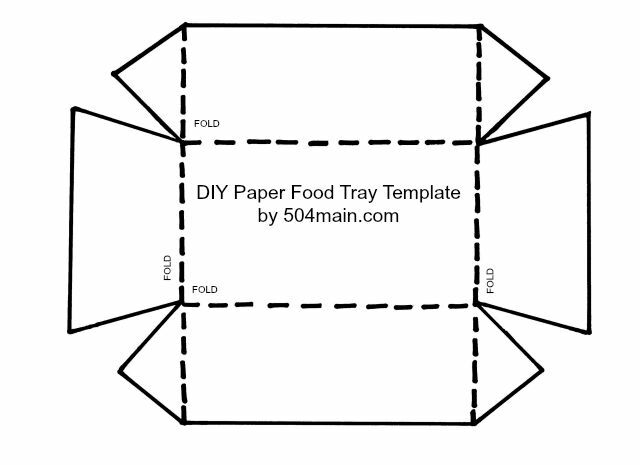 Optional: food safe serving paper (found at Michaels) or Parchment/wax paper cut into rectangles. 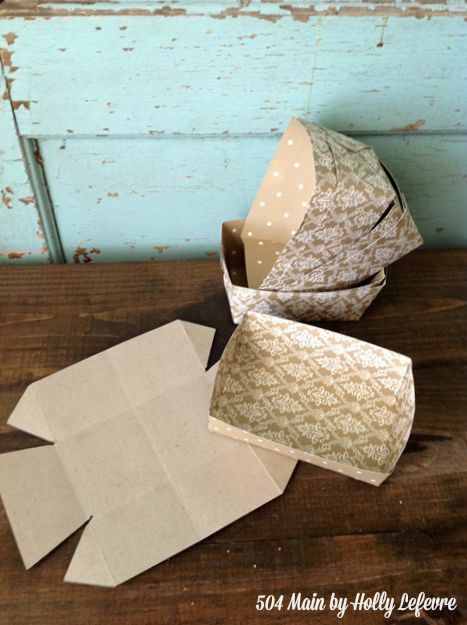 Cut the shapes out in the desired paper. Oh wait - that's it...you are D-O-N-E! Totally easy and plenty of time to whip some up before your Labor Day BBQ! NOTE: Depending on my card stock selection, I may not use food-safe serving papers (this does not mean I have food-safe card stock). 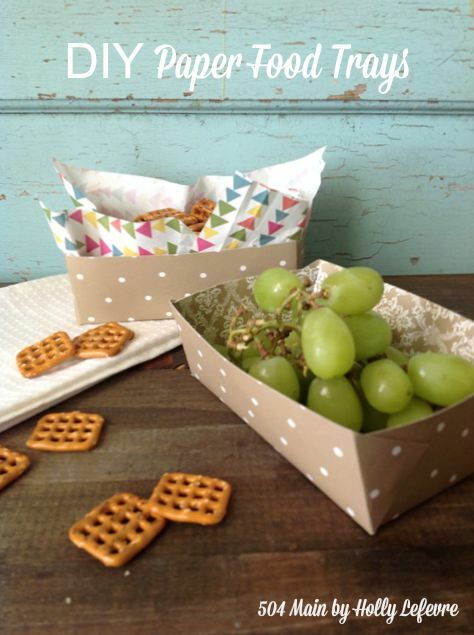 But cute serving papers make a fun addition and keep the food off of the card stock. 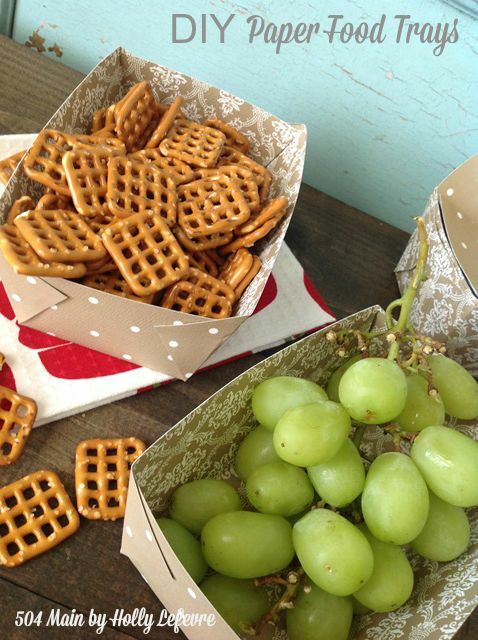 It can also be beneficial if you are serving more oily snacks, like potato chips. What are your plan for the holiday weekend?